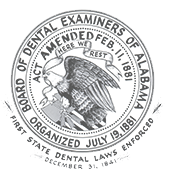 In 1988, the Alabama Legislature mandated that the Board of Dental Examiners of Alabama create a committee for the purpose of identification, intervention, rehabilitation and monitoring of dental professionals suffering with the disease of addiction. The committee’s work would largely involve intervention for addiction; however, those afflicted with physical and emotional impairments are assisted as well. The Alabama Dental Professionals Wellness Committee (“Committee”) was formed and consists of recovering dental professionals under the leadership of Dr. Michael C. Garver. These dedicated individuals devote their time to helping their colleagues acknowledge their disease, seek treatment, and return to their profession with a renewed focus on lifelong health and wellness. There are currently over one hundred dental professionals being actively monitored by the Committee; and the Committee has interacted with hundreds more since its inception. The recovering dental professionals’ relapse rate is believed to be among the lowest of any similar program involving health care professionals in the United States. Typically, a dental professional in need of assistance is identified and referred to the Committee by family or friends. Reports are also received through peers and other healthcare professionals such as pharmacists, physicians, and dental auxiliaries. If a self-reporting individual qualifies they may be a part of the deferral program, and enjoy anonymity and other deferral advantages. Once identified, the dental professional is afforded the opportunity to undergo an evaluation at an approved treatment facility. Evaluations are conducted pursuant to established and accepted protocols that include a physical examination, an assessment of the individual’s psychiatric, psychological, and cognitive functions. Approved treatment facilities offer regimens specifically targeted to the needs and rehabilitation of healthcare professionals. Evaluation and treatment programs at these approved facilities are conducted in keeping with the standards set forth in the Diagnostic and Statistical Manual of Mental Disorders. Current approved facilities include: Bradford Heath Services in Warrior, Alabama, COPAC in Brandon, Mississippi, Pine Grove Behavioral Health and Addiction Services in Hattiesburg, Mississippi, Talbott Recovery Addiction Treatment Center in Atlanta, Georgia and MARR Addiction Treatment Center in Atlanta, Georgia. Neither the Committee nor the Board is compensated or receive any benefit whatsoever from any facility for the referral or approval of any facility. An evaluation typically takes three days, but may last a week depending on individual circumstances. The fees for the evaluation will vary. If a clinical diagnosis is rendered, then the individual will be presented with a treatment plan to address their needs in recovery. A healthcare professional diagnosed with a substance use disorder can expect to be in treatment for 6-12 weeks in an inpatient and/or intensive outpatient setting. Monitoring and aftercare are essential to ensure continued sobriety and the individual’s safe return to the practice of dentistry. The specifics of an individual’s monitoring are set forth in a written agreement and may include abstinence from alcohol or drugs (unless prescribed), drug testing, meeting attendance, documentation of recovery, or any other requirement recommended by the treatment facility or tailored to meet recovery goals. All subsequent required drug testing is conducted randomly through the use of a color coded system. If the dental professional has violated the Alabama Dental Practice Act in connection with their addiction, discipline may result. Following appropriate diagnosis and treatment, if the individual is deemed safe to return to practice, they may be offered a consent order incorporating terms of their aftercare and monitoring requirement(s), disciplinary actions, and any other relevant conditions to be addressed. You are encouraged to contact the Committee with any questions. You can reach the Committee Chair, Dr. Michael Garver, by calling him at 251.605.2883.